The purpose of this work was to develop a Pfandbrief model for structural analyses in the context of product features and risk profiles which accounts for the Pfandbrief’s most important characteristics and adequately reflects its main risks. 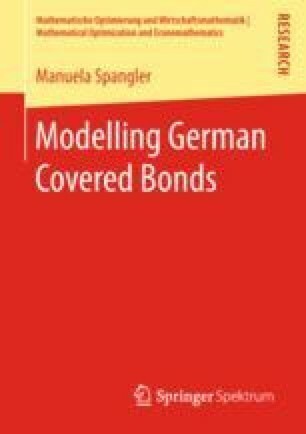 Required modelling features where derived based on the legal framework for Pfandbrief issuance and an analysis of product-specific risks. A multi-period simulation-based framework in which all terms can be easily calculated by recursive computation turned out to be most suitable for our purpose. Similar cash flow approaches are commonly used by insurance companies, for the market-consistent valuation of insurance liabilities.